Story by Hung One On and Digital Mischief by Warrigal Mirriyuula. Hi, Sandy here. What? You don’t know me, well if you haven’t been listening for the last five years my name is Father Alexander O’Way, affectionately know as Sandy and I am the parish priest of the church of St Generic Brand which just happens to be down the road and around the corner from the Pigs Arms. Hmm. Well as anyone who knows me knows I hate early mornings and yet again that relic from the last century Bishop Bishop, who we all know as the Bish, rang me at one in the afternoon. What a bogan. Now to all you newcomers, God is Gordon O’Donnell, an astrophysicist from another dimension that created our universe as a science experiment in a shoe box. This shoe box sits at the back of the lab in Astrophysics 101 and is used for the students to study astrophysics. Hmm, I can see this is not going well. Yes, there is no God, Yahweh or Mohammad, it’s all mythological rubbish. It is us and them out “there”. “Gordon wants us to wade into the O’Bad dilemma, lets find out if he really did it” demands the Bish. “But Bish” I foolishly reply back “Who gives a zark if O’Bad is dodgy or what. Take him out someone else will replace him. I mean corrupt power is absolute but absolutely power corrupts something” Gees I wish I could remember that statement but it sounded good. Okay. I can see some of you are stumbling with the word “zark”. As kiddies may be watching zark is a universal swear word. Just substitute “zar” for “fuc” and you will get the picture. “Just do it Sandy or Gordon will cancel your credit card” barks the Bish. Holy mackerel. No credit card. See when Gordon invented the universe he also invented money. So all of the money in our universe belongs to Gordon. Anywhere I travel in the universe is paid for by Gordon’s card, hmm, need to do something here. “I have arranged a car to pick you up in the morning at 1000hrs so be ready. It’s a good two hour drive out to the O’Bad Ponderosa” What the zark, 10 in the morning, does this man hold no morals. Oh, yes those were the days. But then the POTTY Awards, oh yes, I remember well. Yes, Pastor Basil Sauce, that prick from one of the many mobs in town robbing my customers. “ Driver, how long to go?” I enquire rather innocently wondering if anyone had a rum toddy to tide me over. “ Not long now Father Sandy” said the driver. “ Cut the God crap mate, we know the universe has been created from another time dimension” I reply with added futilityness. “ Nice to meet you Sandy, heard a lot about you. And hey Big M was the slot car champion* of his street back on our planet”, grins Shoe. So I am going to face a big time crim with a driver that had a slot car set and a shotgun expert that knows Duckhunt, boy am I in trouble. * Editors note – if I read between the lines correctly, there is some serious confluence between being a slot champion and obstetrics – just saying ‘ – that was when I started laughing and the rest got a bit off the track……. Thanks H. Being funny is difficult however I love being an idiot and if others find it funny then that is a bonus. Dear Sister Hung, what an honour to be named in one of Sandy’s adventures, ‘shoe and i are fairly busting…. Is it true you are Spike’s love child, Hung? I also have to wonder sometimes if Douglas Adams or Christopher Moore isn’t ghost writing this for you… I’m so glad to have discovered Gordon and his shoebox thanks to you. Just looked him up Nev, sounds like my kinda guy, I will get some of his work and have a read. Thanks mate. Like Hoo, like it a lot. 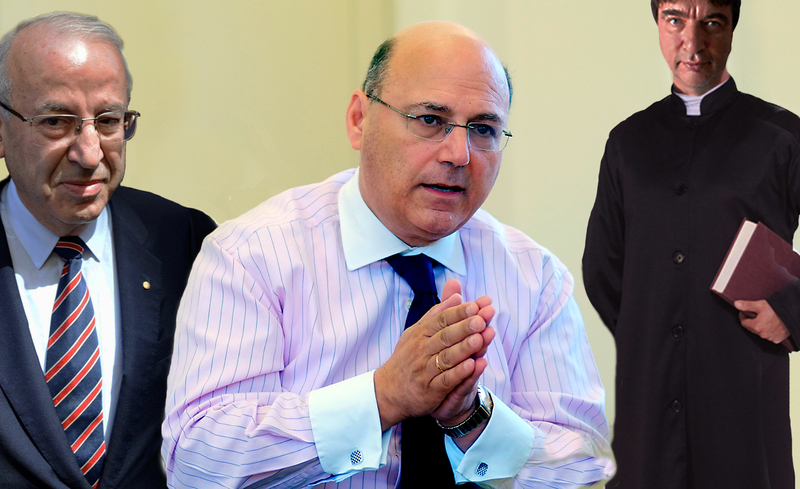 More tories weeded out at ICAC today including mummys boy. claims something but he’s got form. Thanks Ace. What do these pollies really want? I’m sick of them. Like Therese by sounds, I struggled to stay on the straight and narrow and on the steep corner was so in stitches I have to read it again. I would have anyway, but o, that is cleverly written as well as funny. I did think so right from ‘…well, if you haven’t been listening for the last five years’. ‘O’Way counsels the Sinister Demons to Pray’ is a classic! Isn’t that a-typical the pose of the hands in prayer posture pointed directionally at an absolute truth the audience is to believe how utterly hilarious. You funny, funny blokes. Pastor Basil Sauce – another Hungsterpiece ! As long as it is funny, I’m cool. I hope it will be funny Viv but I guarantee it will not be detrimental, not my style. I like to include viewers in my story. I call it the buy in. Just means we can all relate. I see the Pigs Arms as a community and even though some of us get kicked out from time to time, we are still one. Even the unnameable one. So true, Hung One on. When do you take confession? I can’t see you on the official P/A roll. Perhaps because you are being canonized. So true Gez, us idiotic geniuses always have to overcome many obstacles.